Please welcome Talli Roland, author of five novels - The Hating Game, Watching Willow Watts, Build a Man, Construct a Couple, and the newly released, The Pollyanna Plan - to review one of her favourite reads. Shortlisted for the Orange Prize and described by The Independent on Sunday as ‘Sweet Valley High as written by George Eliot’, Prep by Curtis Sittenfeld is one of my favourite reads. As soon as I finished this book, though, I was struck down with a bout of depression. This was the novel I wanted to write – a coming of age, funny, insightful book that made me nod on almost every page in recognition at the painful, awkward moments of trying to belong. Main character Lee Fiora escapes her small Midwestern town to attend an exclusive boarding school in New England. Despite not leaving the country, the two places seem worlds apart, and Lee struggles to reconcile her middle-class upbringing with the posh new environment in which she finds herself. But Prep is much more than a study of clashing cultures. Not quite young adult and not quite chick lit, I believe this book will appeal to anyone who was a brutally self-aware teenager, constantly conscious of their place in the pecking order of the high-school world. Watching Lee grow and change – not always for the better – reminded me of the strong influence our peers have during that phase in our lives, and I couldn’t help cringing at the mistakes she made. The novel closes on Lee as an adult, and delivers an important message: we’re not teens forever (thank God), and nothing will ever seem as heightened or as important as it does during those adolescent years. 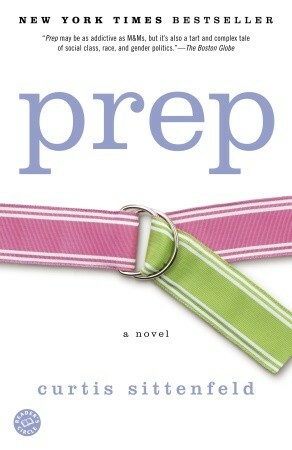 Prep is an engrossing, clever read that I can (and have!) read over and over again. Talli Roland writes fun, romantic fiction. Born and raised in Canada, Talli now lives in London, where she savours the great cultural life (coffee and wine). Despite training as a journalist, Talli soon found she preferred making up her own stories – complete with happy endings. Twice shortlisted for the UK’s Festival of Romance, Talli's novels have also been chosen as Amazon Customer Favourites and top books of the year by industry review websites. She’s a bestseller in Britain and the United States. To learn more Talli, go to her website, follow her on Twitter, or check out her blog. This sounds like just the sort of thing I'd like, thanks Talli! The premise reminds me a bit of the YA book The Daring Game by Kit Pearson. I haven't read Prep yet, but I did read one of Curtis Sittenfeld's other books, The Man of My Dreams. That's really good too, and I could relate to several parts of it. As you said in your review of Prep, it always helps if the reader can relate to what the characters go through; it also helps us understand the story better.